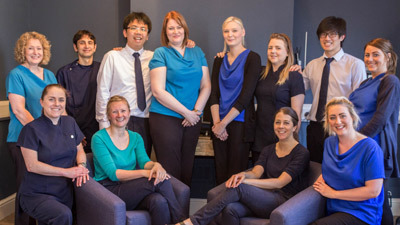 We have been delivering quality chiropractic care to the Bury community of Lancashire and Greater Manchester including Ramsbottom, Whitefield and Tottington since 2002. Chiropractors, Alicia Leontieff and Wendy Davis are here to help you feel well again and put you at ease in seeking out chiropractic care. No matter your age or condition, we’re here to help you. From seniors to children, our modern equipment, up-to-date techniques, and thorough approach can benefit a variety of people. Our aim is to help as many people in the community of Bury as we can; no problem is too big or too small. We thrive on challenges and enjoy solving those problems, which have been symptomatic for many years. We are dedicated to getting people well and keeping them that way. You may join the Bury practice as a patient but we would like to think that you soon become a friend. Although most seek chiropractic care because of pain or injury, we want to help educate you about Chiropractic from your first visit with us. Your spine and nervous system is connected to the rest of your body and how it feels and functions. We love it when someone comes in for back or neck pain, and sees that suddenly, their digestive problems or headaches are also getting better. We’ll be sure to talk through the process of chiropractic care with you, so you feel well-informed about your care and what finding true wellness involves. There is also a massage therapist located on-site at our practice to give a further complement to your chiropractic care.